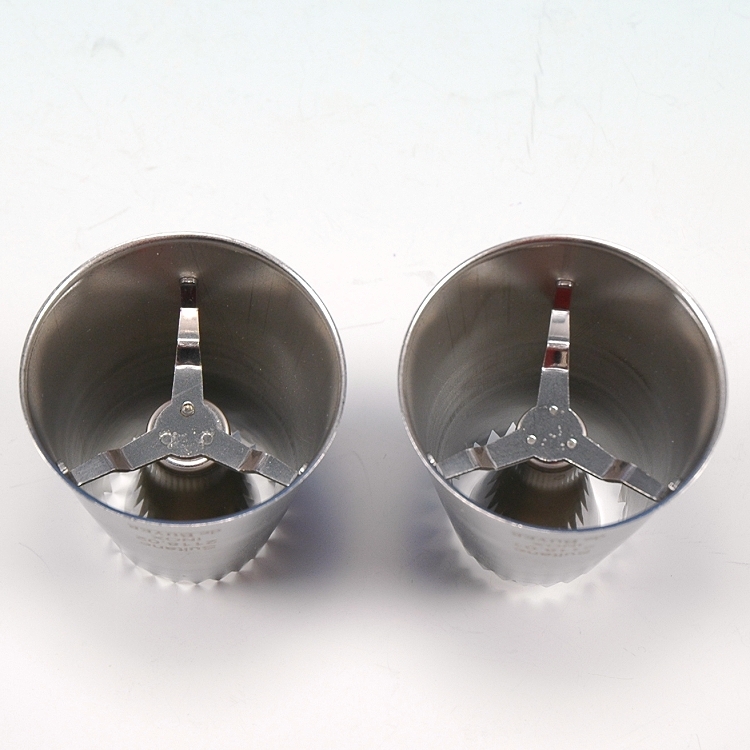 Sultan Pastry Tips are specialty designed pastry tips for icing pastries and desserts. These unique tips create a round icing ring with a hollow center. 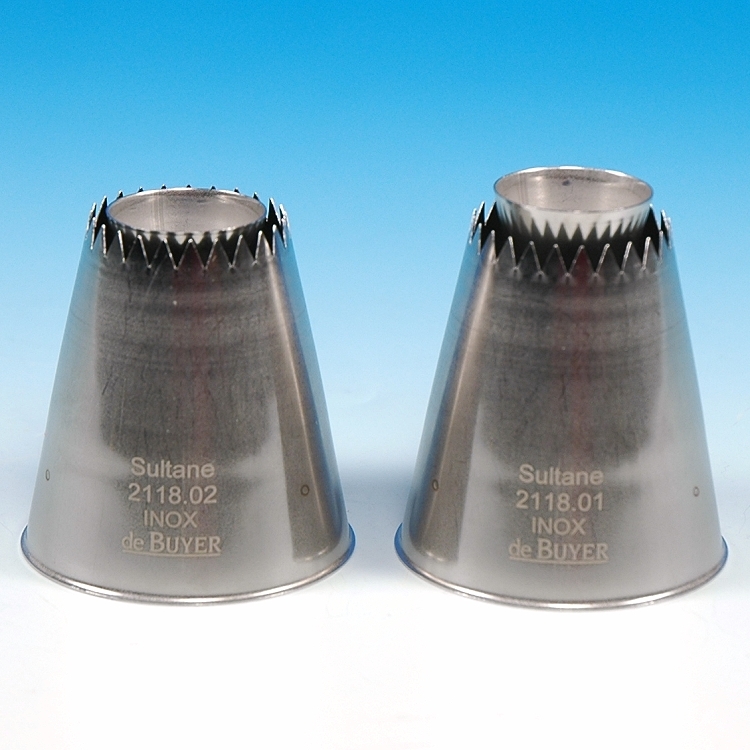 Tip Set includes two different Sultane Tips: Flat Cone & Protruding Cone.